Back in the late ’90s when Dipset was shaping up to be one of the most influential rap collectives ever, Jim Jones was playing the background. Shoot to the present day, he has risen to be the most consistent member of the somewhat disbanded Harlem clique. Over the years, he’s racked up numerous Billboard hits and his mic skills have actually improved as opposed to the diminishing returns generally experienced from rappers as they get older. 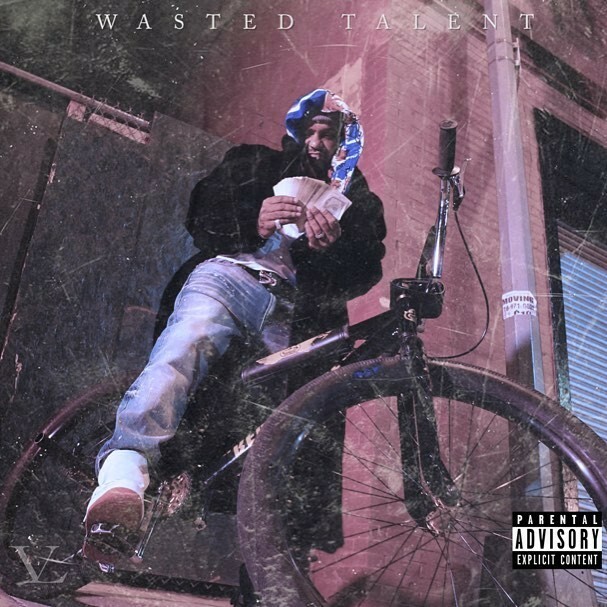 For his sixth solo album, Wasted Talent, Jones impresses once again with his acute storytelling and ability to blend in with newer artists cut from the same cloth such as Mozzy, YFN Lucci and Lil Durk. They don’t make New York rappers like they used to and hearing Jones dominate a full-length project with accelerated lyricism is a throwback to the days of the American Diplomatic flag. An off-kilter flow and menacing bass knocks supplied by Killa Watts spraypaint a scenic picture of an ashy-knuckled hustler in Lexington Ave to make “Adidas” a must listen. “Banging” takes affairs further down to the gutter as Jimmy rightfully lays claim to helping spread Bloods culture where eyes mattered the most. And while it’s been a minute since Capo blessed the Billboard with a bullet, several Wasted Talent records aim to fly high, with “Got to B Real” being the strongest of the bunch. Backed by the wailing horn sample from The Crusaders’ “Message from the Inner City” (popularized by Queen Latifah’s classic “U.N.I.T.Y.”) and vocalist Alexa’s passionate performance, his authenticity card is brandished for his longtime love Chrissy Lampkin to verify. It was all but inevitable that the 18-track album’s trajectory would resemble a stock market chart. By the album’s midway point, yet another product-of-my-environment ode in “The Old Way” drags the momentum down. And “Chicken Fried Rice” is a lighthearted attempt of creating a bodega vibe but fizzles thanks an ear-sore Auto-Tune hook and unfocused ghetto fab rhymes. And the various soundbites ganked from the cult classic film A Bronx Tale don’t exactly move the narrative along like they probably did in theory. While the thermal reunions with Cam’ron and Juelz Santana on “Once Upon a Time” and “Still Dipset,” respectively, won’t necessarily give younger listeners the full scope on why The Byrd Gang — or Heatmakerz’s “chipmunk soul” — were so important, they’re stark reminders that the Harlemites can still run things like Quick, Sugar Ray and them. Hip Hop needs vets like Jim Jones to keep a handle on balance and that’s exactly what Wasted Talent brings to the streets and streams.